IMPACT Software Suite, with over 120 inspection tools and 50 user interface controls, allows users to create unique inspection programs and develop user interfaces quickly and easily. All this can be done without the loss of flexibility, like traditional configurable systems, or the need for vast amounts of development time. 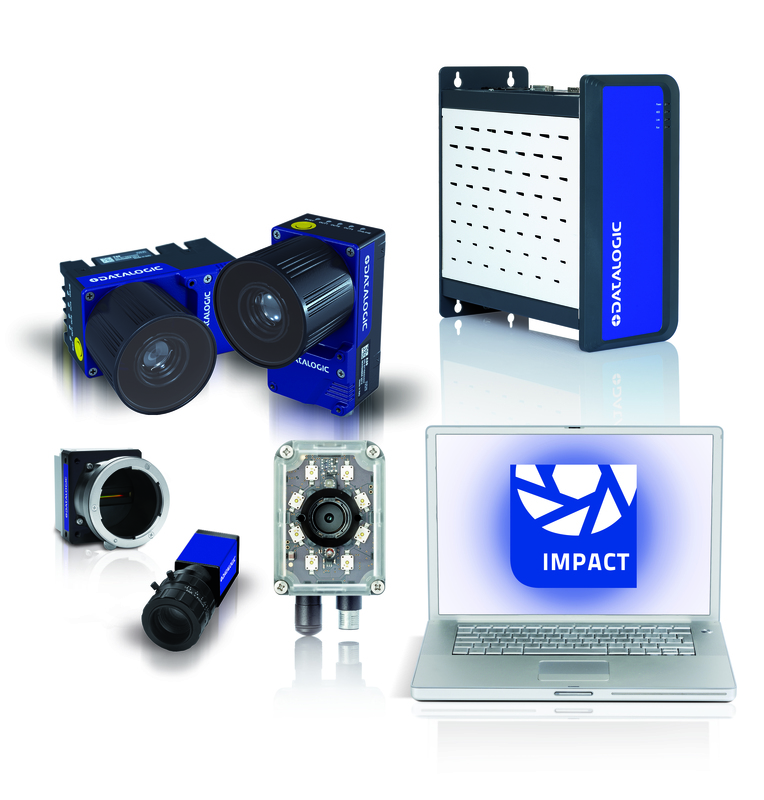 IMPACT Software Suite also provides a Software Development Kit (SDK) that guarantees full integration of machine vision monitoring capabilities into HMI software applications.Vision Program Manager (VPM) provides hundreds of image processing and analysis functions. Use VPM to enhance images, locate features, measure objects, check for presence or absence, and read text and bar codes.Control Panel Manager (CPM) simplifies development of operator interfaces with the ability to make on-the-fly adjustments to critical machine controls. CPM creates operator interface panels to view and adjust critical machine controls. IMPACT Software Development Kit (SDK) consists of a software library for HMI development. It allows developers to deploy software applications for interacting with Datalogic vision devices.